Strategic consulting firms succeed by gaining a complete insight into technology: how it affects customers, developers, partners and ecosystem. When you run a strategic consulting business you need the combination of subject matter expertise and putting the technical insights into perspective. However, too many times the subject matter experts drill deep into the technology, losing sight of the big picture. They think narrowly a particular implementation, a particular concept, and cannot see the pros and cons. On the other end of the spectrum, generalists have never created an application or a product. Many technology specialists have ideas on how to operate a site or business at scale, but they’ve never done it directly. They have been on teams who have done it. They’ve been with companies who were at scale. Watching the pilot is not being the pilot. 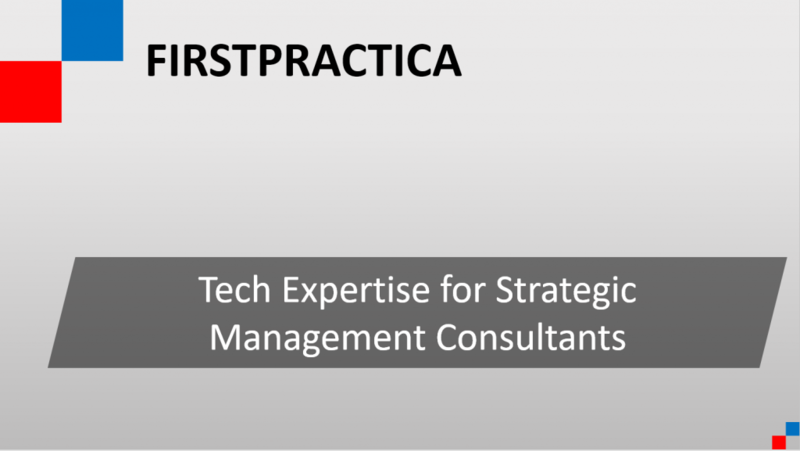 At Firstpractica we help consulting firms bridge the gap between knowing, doing, and understanding. By focusing on our areas of competencies we can provide unique insights unavailable anywhere else. The insight of thinking like the technical buyer, business buyer, developer or end user, vendor, partner and investor. We provide you with a 360 degree view of the particular theme you are looking to gain a deeper understanding on.